I got a lot of use out of the couple of years I was able to afford having Amazon Prime. However, I’m practically out of money so this is one of the things I have to let go of this year (along with a lot of other things). Anyway, since I officially lost the service today, I thought we’d look back at a few shows I quickly watched before the service ran out on me. I ended up having time for 3 shows which are: Re:Creators, Irozuku: The World in Colors, and Yuki Yuna is a Hero season 2. These shows were chosen because they were Amazon exclusive, things that I wanted to, or in some cases, already started watching, or had some buzz about them. Unfortunately I didn’t have enough time for Banana Fish but it is what it is. I’ll be reviewing the three shows I did manage to get around to just like I would normally for Mini Reviews. Enjoy! My party started off on a relative high note with Re:Creators. The idea is that this is a reverse Isekai story where various anime, manga, and video game characters are brought to the real world. Creations meet their creators, some judging this world to be evil and others just wanting to go home. Then of course you have the mysterious Altair to worry about. What made Re:Creators so good, especially in its early parts, was the meta elements of having a creation meet its creator. Often the creations came from worlds that were pretty bleak, or at least messed up. Naturally, there is some resentment from the creations towards their creators. It was a unique narrative that I would like to see more of in media, not just anime. Characters were spoofs of popular characters today. You had representation of Persona-like characters, your magical girls like you’d see in PreCure, and of course, Fate (plus many more!). Though each stood on their own without feeling like direct duplicates of what they were clearly inspired from. As the story went on, they felt less like characters and more like people, which was the point, but that was a nice aspect to include. For me, the best arc had to do with Mamika. Even from her introduction, this character was handled really well. She had the most nuance of all the characters as well, with her struggle to decide what to do as the story progressed being a big point of interest for the series. It would have been really easy to make her a one-note kind of character, overly caught up in simplistic, “child-like” ideals, but that wasn’t the case as time went by and something that was really appreciated. Conceptually Altair is an interesting character. I love the ridiculous way she has to activate her powers by playing her rifle like a violin with a saber acting as the bow. She also had a sleek design, which was riffed on a bit during Re:Creators‘ fun recap episode (which you should definitely not skip, it was good). That said, she wasn’t exactly the most engaging character, which may undercut the narrative for some people. Unfortunately, the ending becomes a bit of a drag. The big fight with Altair takes up quite a few episodes. It certainly lessened the impact the ending had because at one point I kind of just wanted the show to be over. The way things got resolved was fine, though a bit cheesy, but because it took so long to get there I just didn’t care as much. For that reason, Re:Creators was only a decent show instead of a great one. The one aspect the show did not disappoint on was music. Wow, it’s really good! They did overuse some of the tracks as the series went on, but they were good enough that I really didn’t care. It’s something you’d notice, but likely not complain about. While I have a bit of room left, the animation was generally great as well. My final verdict? Re:Creators wasn’t quite as hype as others may have had me believe when it was first airing, but I still enjoyed it quite a bit. It was also motivating from a creator standpoint, much like how Shirobako was. Despite the ending falling a bit flat, it was overall a worthwhile experience that I would recommend to pretty much everybody. 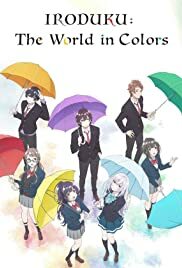 Following that after a short break, I decided I’d finish Irozuku: The World in Colors, which I’m going to refer to as Irozuku from now on. I started this when it began airing in Fall 2018 but didn’t keep current with it because I was simply watching too many shows. I had seen the first two episodes before putting it on hold and returning to it for this last hurrah! Those first two episodes were interesting and I felt like this might be a feels-y type show along the lines of Anohana with time travel elements à la Steins;Gate. Instead, it ended up being a rather plain, dull, and uneventful series. This really was a shame because Irozuku had the potential to tell a good story but I found each episode to be a real struggle. This took me longer to watch than Re:Creators did and it’s only 13 episodes long! For a show about a girl who can’t see colors, I kind of expected a level of bland in the early episodes, but it was overly pervasive. It had far fewer moments, “of color” so-to-speak, than was reasonable. The hook was there, sending this sad and lonely girl back in time to literally get her colors back is a cool premise. Throw in literal magic and how can that go wrong? Apparently, in ways I didn’t expect. 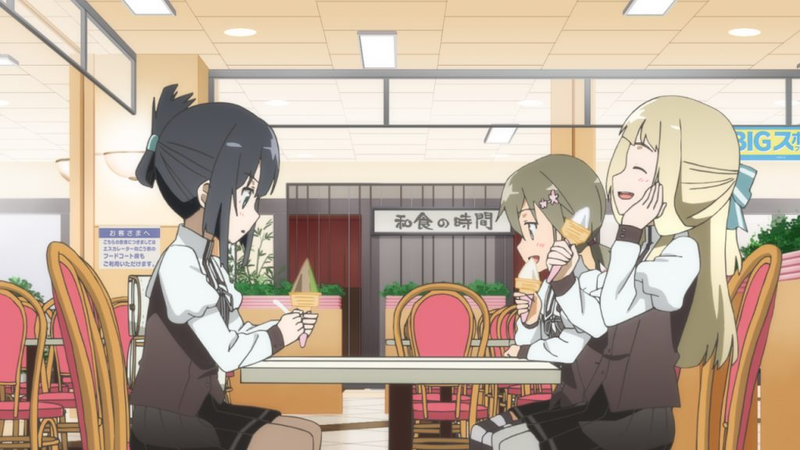 Irozuku meanders, repeats itself, and undermines a lot of its content. There are spectacular, almost one-of-a-kind experiences here, they are just buried under a lot of uninteresting stuff. The most praise-worthy thing I can say about this one was that its use of color was phenomenal but that really isn’t enough to make a show. When it came to the big finale, I couldn’t help but chuckle at how it felt like an episode of Survivor where each character lined up to say goodbye to the main character, Hitomi, like they were voting her off the island. It was sappy and not at all touching like it was supposed to be. In spite of my criticism, there were some aspects of the show that were cool. I liked the way magic was represented as rather mundane, but not something a lot of people could actually do. Still, it managed to have a level of whimsy and intrigue because some the characters we follow are actually pretty good at magic, meaning they can do some more fantastical things. The most interesting of which was going into a painting for an episode. Even with the kind of silly ending, Irozuku did manage to get better by the end. Its storytelling was perhaps a bit too subtle here, but there was quite a bit going on in the concluding moments. It managed to stick the landing, but nearly everything leading up to it felt like a meandering mess that didn’t use its time effectively. For that reason, I don’t really recommend this. 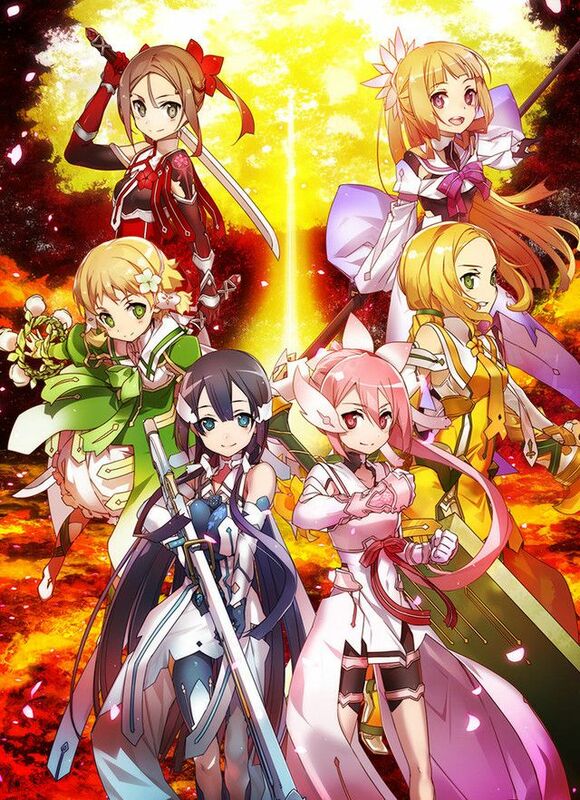 Last up on our journey was the second season of Yuki Yuna is a Hero. This was split into two parts with a recap episode for season one in between. The first six episodes, The Washio Sumi Chapter is a prequel to the events of season one and what I’ll talk about first. The second half was a continuation from season one, The Hero Chapter which pretty much wraps up the series. I’ll talk about that last with a brief mention of the recap episode between. 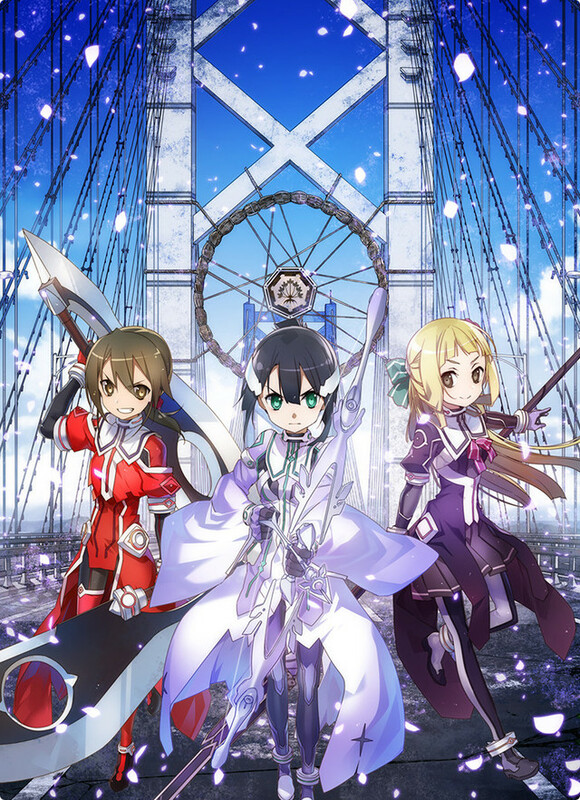 Briefly, I wanted to mention my thoughts on season one and what YuYuYu is. A lot of folks were quick to label this as a Madoka clone that executed poorly. This is not really the case, if anything this is a more traditional reconstruction of the magical girl genre that leans into the gritty unforgiving darker content as a feint. With that said, YuYuYu did not do itself any favors and constantly invited this comparison throughout its run. The influence of Madoka was fairly obvious. My thoughts on season one were that it was good, I liked the darker moments but the show ultimately ended on a happy note where things more-or-less worked out. To me, that always feels cheap, especially when it isn’t really explained/justified well, but I still liked the show. It was visually stunning, the music was great (though, again, similar to Madoka), and if you like magical girl anime, this will probably be something you get at least some enjoyment out of. One of my bigger complaints with the first season was that it was inconclusive. There are some pretty big plot points that don’t get enough time, or even explained at all. For this reason, the ending was made worse for me because of reasons previously mentioned and this. That’s where season two comes in and with that retrospect, this first season becomes a lot stronger. Let me preface this that you absolutely cannot, and should not, begin watching this series here. You need to start with season one because a lot of the basic ideas for what is going on in this arc is explained there. As such, we don’t waste any time getting straight to the point of this six episode chapter. You follow three characters: Washio, Nogi, and Gin. These girls slot into typical archetypes so they are easy to get. Washio is your straight-laced, uptight, patriotic person who believes they need to be responsible for everybody. Nogi is the air-headed goof who is surprisingly smart and dependable, and lastly Gin is your tomboy. I didn’t just like this arc, I loved it! Easily the best arc in the series. The first few episodes are pretty standard fare, getting to know the characters and the world before season 1 rolled around. You even get a totally goofy comedy episode with short skits, which had me laughing more than expected. It was a good time. Then it gets dark. Episodes 4-6 were what I wanted out of season one. Well, more accurately, what I wanted to see more of in season one. Things get pretty brutal for the girls to the point where they literally begin to sacrifice their bodies and who they are in order to protect the world out of duty. It’s tragic. When the final episode of this chapter concluded I felt like this short story was told in a tight, meaningful, and poignant manner. It didn’t, “fix” everything at the last second, it was conclusive, and focused on only the important parts. Strong recommendation here but I do realize that comes with the baggage of the rest of the story so if a reconstruction of darker magical girl stories doesn’t interest you, then this one arc isn’t going to really be worth your time. That leads me to the recap episode and some small spoilers. Normally I think recap episodes are a waste of time but this one was necessary and a good idea. After the context of a prequel chapter, the events in season one have a totally new context. Viewing that season through this lens was not only a good reminder of the events therein, but as a way to really see how The Washio Sumi Chapter impacted it. I almost didn’t draw the connection that Washio and Mimori are the same character. It is actually pretty well hidden up until the end of the prequel chapter. They are just such different characters, and for good reason. Nearly every major story beat is hit really well in this recap, you get the big picture with only a few points not quite adequately explained through just the recap. That said, I was able to remember most of this without the recap, but it was still worthwhile because there were a few times where I remembered something or recontextualized the new information. Ug, this chapter was frustrating. It starts off pretty good. You have Yuki and gang having a great time but something is off. You get Nogi tossed into the cast now as a principle member, and she really is a delight. Quickly Yuki and Nogi figure out that Washio/Mimori is missing. Yuki finds out that Washio/Mimori is being punished for the events of season one. She is sad so goes to rescue her. Being who Yuki is, she takes her friend’s place and receives a curse from God. The curse is basically magical cancer. Everything is great… or is it???? Yeah, it isn’t. Turns out that aside from being magical cancer, it is also cancer that Yuki can’t tell others about or they will also get cursed but not with cancer, just like a normal curse were a bad thing happens to you. Oh no, the world is ending (again, for like the third time)! Yuki, quick, you gotta marry the other God! Yuki’s friends don’t like that and a cult becomes a wheat field. God gets mad. In the last minute, Yuki is granted the use of the Infinity Stones and punches God in the eye. Both Gods go, “Dang humans, ok…. we’ll leave you be” and everybody lives happily ever after, the end. Needless to say, I thought this was pretty stupid. Again, I’m fine with a happy ending but it felt so forced. All the events, aside from Yuki getting cursed in Washio/Mimori’s place, just happen, “because” with no real explanation. The show literally states that multiple times. It felt like the writer of the story wanted to have their cake and eat it too. Things bend over backwards to have everybody get a happy ending and it is contrived. It wasn’t like the whole arc was bad, but the ending soured the experience. It felt a lot like season one, but more egregious. I don’t like when a story undoes all the hardships and sacrifice the characters went through just so it can be happy. I get that these girls are used and put in a bad situation against their will, and you want them to get a good end, but that doesn’t mean it should just be handed to them as a cop-out. I found this more engaging at least than the disappointing Irozuku but I’d put it about the same level. If you watched everything up until this point, you should watch this as it is conclusive, but for everybody else, this is a massive waste of time for a story that isn’t really even that satisfying when it comes to the end. YuYuYu has merit and isn’t the Madoka clone everybody says it is, but at the same time, it doesn’t really hold a candle to the latter either. That’s it for today folks. Let me know your thoughts on any or all of the series discussed here below. I’d love to hear ’em and I’m sure your fellow readers would too! If you want to help me out financially and support my work here, which I could really use, please click on my donation button below as I’d greatly appreciate that. Thanks again for reading and, as always, I hope to see you back here at Jon Spencer Reviews again soon! 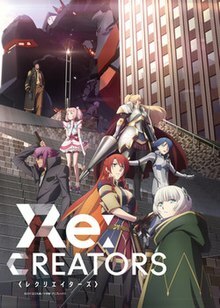 Although that last fight was admittedly a bit drawn out, I still stand by the opinion that Re:Creators is one of the most underrated anime out there. 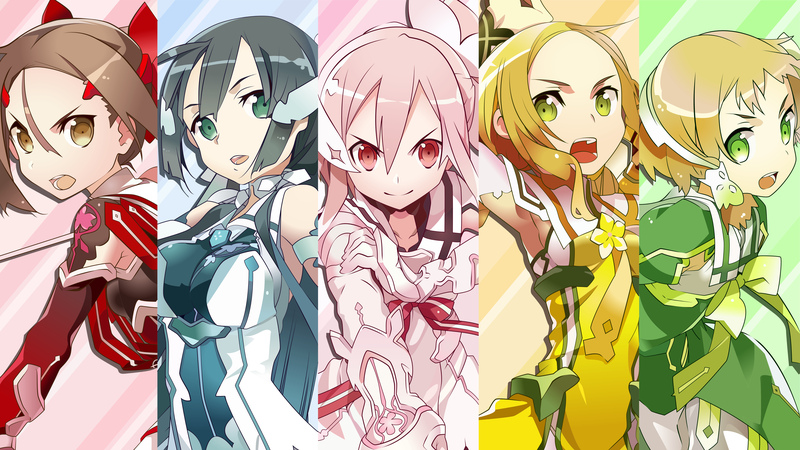 And oh, I still need to catch up on all that Yuki Yuna goodness, as well as see what was up with Iroduku. Thanks for sharing! The relatively slow pacing of re:Creators made sense in the beginning… But I agree, the final battle was dragged out just too long. I’ve been known to re-watch that re-cap episode on it’s own because it was just *brilliant*. Creative recaps are just the best. They are super rare though. About 2/3 through ReCreators it felt like it slowed down to a halt, with nothing really happening. I guess this was around when they were all hunkered in that building trying to hit their deadline or whatever (it’s been a while).. anyways I was actually happy to see such a long fight and all the action of the final few episodes, considering how boring the anime became for a while. I didn’t mind them laying the groundwork for the fight, that was good. A fight was fine too, but it goes on for a lot of episodes and very little of it actually contains relevant or thematic content outside of a few cases. That’s really my problem with it, because at least the stuff you are calling boring did progress the plot and tie into its themes, if I’m making sense? I still liked the show of course, just thought it could have been tighter at the end. Yeah, I sort of went into the anime with the impression that there would be more going on, considering how it starts out. Then all of the sudden there was no real “action” for many episodes, and I became a bit impatient as a result. I also liked the show, very high quality and a pretty unique story which we don’t see too often! Yeah, Amazon Prime is losing its luster for me with so many add-on items and the rising costs, but it just comes through enough for me to keep me hanging on. But glad you got a final anime blitz before the end of your subscription. I know right? It’s soooo expensive… I remember when I first started using it that it was pretty reasonable but the price has only gone up and up. That said, I really only ever used Amazon for the occasional gift purchase and the streaming only last year. I like the service but it just isn’t something that is practical for me. At some point I want to see ReCreators but don’t have access at the moment. Hopefully it will get a DVD release at some point or released on another streaming service eventually.